BT Sport is coming to Google Chromecast, BT has confirmed, joining BBC iPlayer, YouTube and Netflix on the £30 dongle. The app, which will only be available to BT broadband customers, will arrive on April 7 when the 'cast' button will show up in the BT Sport Android and iOS apps. The rumour of a BT Sport Chromecast app broke started doing the rounds earlier this week, although at the time BT refused to confirm to TechRadar that it was on its way. 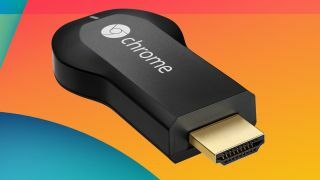 The Chromecast dongle, a rival to Apple's AirPlay platform, finally launched in the UK last month, following a prolonged wait for Brits seeking to get in on the streaming action. It gives mobile device owners the opportunity to beam games, video, web and audio content to their living room television set. So far the only broadcaster to incorporate the functionality into its app is the BBC, through its iPlayer app. Sky has also admitted it is considering adding Now TV to the mix, while Netflix also supports the dongle.